Are you suffering from clogged kitchen or bathroom sinks? A toilet that just keeps clogging up? How about backed up shower or bath tub drains? If so, we are here to help! 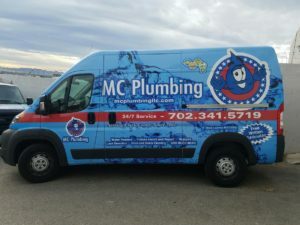 Here at MC Plumbing we provide drain cleaning in Las Vegas, North Las Vegas, Henderson, Summerlin, Boulder and throughout Clark County. Your drain and sewer lines are vital components to your home plumbing system. Without proper drainage, both the well being of your family and home may be in danger. Don’t waste your time or money on harsh over the counter chemicals that don’t work or only work temporarily. Call MC Plumbing LLC the leading company for Drain Cleaning Las Vegas at (702) 341-5719. We specialize in clearing tough clogs that are too stubborn for over the counter chemicals like Drain-o and Liquid Plumber. We can clear up your clogged drain both effectively and efficiently with virtually no mess and minimal cost. Most drains are cleared once and for all, within one hour of our arrival. Here is a list of Drains, Sewers and Sink Services We Provide Same Day in just 30-60 Minutes! When providing drain cleaning in Las Vegas we want to satisfy your needs without the costly expense of repairing or replacing parts or pipes. That is why we come fully prepared to avoid high cost repairs that other companies look for. We can make sure all of your plumbing is operating in proper working order. It is not our goal to “find” other problems that balloon the cost of a drain cleaning. Las Vegas is our home and it is our goal to make sure we take care of all of our neighbors. At MC Plumbing LLC we possess over 30 years of experience in not only properly diagnosing drainage issues but also correcting these issues. We do everything in Our power to avoid unnecessary charges for Our customers. We will not break pipes to remedy a clog when unnecessary, instead we will use the latest in drain cleaning technology to be as delicate as possible and alternatively as firm as needed to accurately and effeciently clear your drain. Many times a drainage problem and its location are not readily visible. Refuse, waste, or plants and tree roots could be disrupting the proper flow of water through your pipes. MC Plumbing’s certified plumbers can identify the problem, its cause and offer the most cost-effective solution to your drain or sewer problems. Maintaining your drains and sewer lines can save you from major problems and expense in the future. We can solve your sewer and drain problems – clogged shower drains Las Vegas, slow tub drains, plugged toilets, drain cleaning las vegas, sluggish kitchen sink drains, backed up floor drains – any drain cleaning problem. We’ll fix it! It happens very frequently that drainage problem and its location may not be easily visible and therefore pretty easy to locate however, sometimes there are many uncommon problems like plants and tree roots that are to blame for clogs in a homes piping. With different causes come different solutions and at MC Plumbing we specialize in providing just that, solutions. We approach every job with the skills and knowledge to solve most clogged drain, sinks & sewer line problems in just 30-60 minutes! We pride ourselves on providing fast drain cleaning in Las Vegas and charging a fair wage for our labor. Our drain cleaning specialists have a combined 40 years of experience in unclogging the most stubborn kitchen sinks, sewer lines, toilets and drains! We can even repair broken garbage disposals! We work not only in repair but also in prevention. Just give Us a call today at (702) 341-5719 and you can rest assured that we will provide you with the most cost-effective solution to your drain cleaning problem, Guaranteed!